Every year, infectious diseases kill 14 million people worldwide. Most of these deaths are of poor people living in developing countries, particularly children under the age of five. Due to poor healthcare systems and poor infrastructure in developing countries, the sick and the dying lack adequate access to the medicines they need. Even though, the majority of these diseases are preventable or easily treatable, the pharmaceutical industry has less than 10% of its pharmaceutical sales to developing countries and less than 10% of their Research and Development expenditure goes towards fighting diseases which account for 90% of the world's disease burden. Oxfam, Save the Children and VSO (partners in producing this report) believe that the pharmaceutical industry has a role to play in ensuring that its policies and practices support the fight for health in the developing world, particularly in those countries with acute shortages of resources and poor infrastructure. 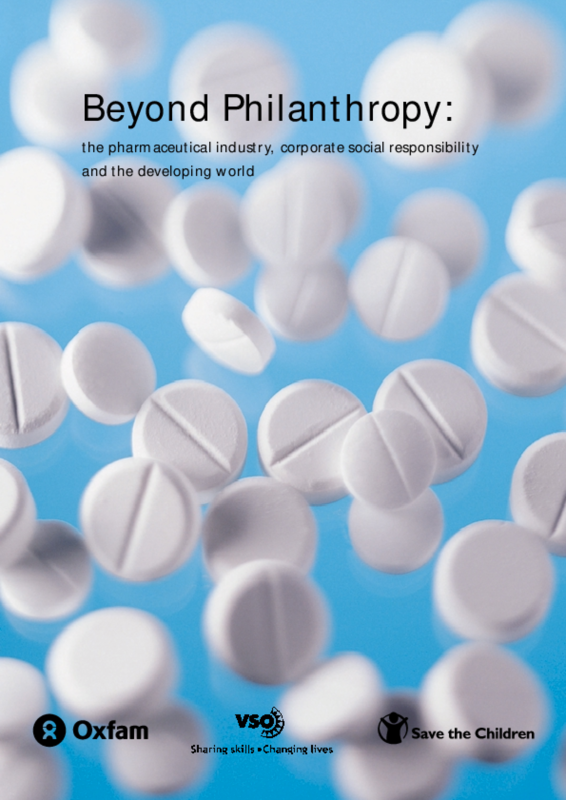 The report focuses on five key areas where the pharmaceutical industry can have a major impact on health care in developing countries. The five areas are: Pricing, Patents, Joint public private initiatives (JPPI), Research and development (R&D) and Appropriate use of medicines. 11 pharmaceutical companies were approached and information was requested based on their specific policy positions on the issues raised in this report.